Stakeholder trust is key to your business success, yet trust levels remain low in key industries. 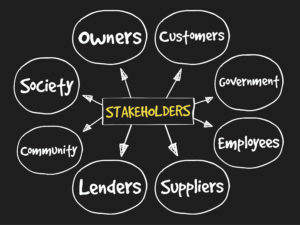 You can improve stakeholder engagement and trust with the right stakeholder strategies. Benchmark delivers quality stakeholder training, consulting and coaching to help you improve your stakeholder relationships. Our stakeholder engagement experts are also Certified Master Practitioners in Neuro Linguistic Programming (NLP) - the study of effective human behavior and language. Stakeholder Support & Trust – Stakeholder engagement training helps your organization earn stakeholder support so you can more easily achieve your business goals. Our stakeholder relations experts provide your people the skills they need to effectively engage stakeholders and build trust. Fortune 500 leaders say Benchmark's approach to stakeholder relations gets the best and most immediate results! 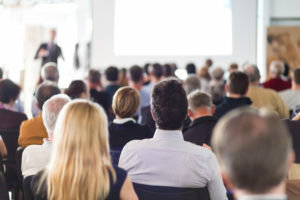 Stakeholder Training Options – Our Stakeholder Engagement Training I is ready to go and your people learn how to effectively communicate and build trust with stakeholders about specific issues. 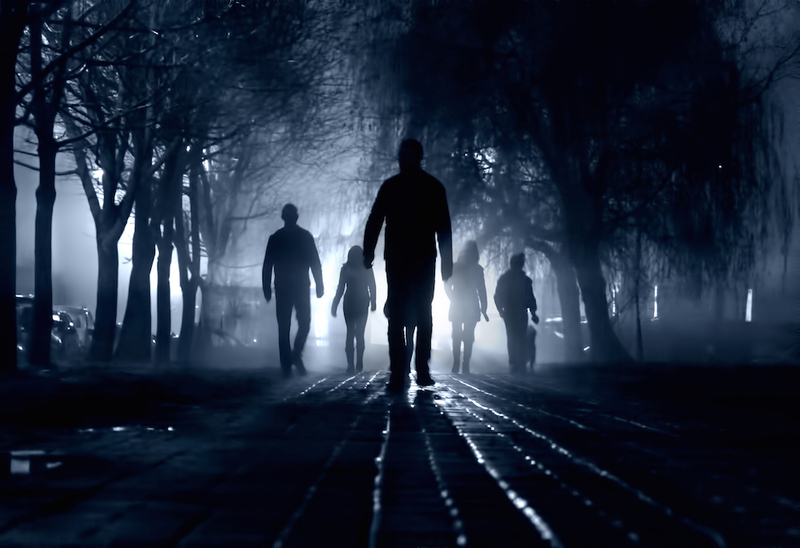 Your people can apply the skills to any stakeholder group or initiative. 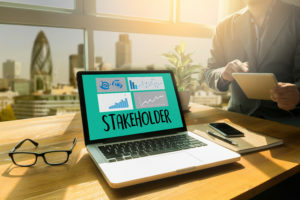 Or, you may choose Stakeholder Communication Training II; with this program we team up with your content experts to evaluate and understand any key stakeholder research you have gleaned from focus groups, public opinion polls or other sources. Then, we merge your stakeholder research with our program to deliver a more custom stakeholder engagement training program. Benchmark also offers Stakeholder Analysis & Mapping to help you discover stakeholder criteria and expectations. Earning Stakeholder Trust – Trust is the foundation of successful stakeholder relations and this stakeholder communication training will ensure you have the skills necessary to build trust and solidify stakeholder relationships. When stakeholders understand and trust your organization, doors of opportunity open up. 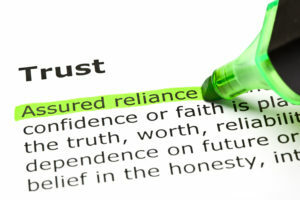 To gain trust, it is crucial that you engage stakeholders at an emotional level. Studies show people are more influenced by emotions than by data. Our stakeholder engagement experts also know that people naturally resist messages that confront their core filters, such as culture, identity, beliefs, emotions and perspectives. This is why many organizations fall short in their efforts to trust and influence stakeholders. The Process – First, our experts will assess the results of your stakeholder research. Second, we will help you understand the role of emotions and other core filters that determine how stakeholders perceive your organization. Third, we will equip your people with communication skills to effectively establish trust with your stakeholders. After the training your people will be equipped to move forward in unity with “one voice” to engage your stakeholders. Training & Consulting Experts – Benchmark has consulted with and trained people from all 50 USA states and more than 25 countries. Our highly motivated teams consists of 20+ pros with expertise in human behavior, stakeholder engagement, public relations, emotional intelligence, media relations, reputation management, law and more. Our leaders are also Certified Master Practitioners in Neuro Linguistic Programming (NLP), the study of behavior and language patterns; this expertise has allowed us to develop advanced skills around emotional alignment and human behavior patterns. Benchmark is fabulous! They changed the way we approach stakeholder relations and have helped us greatly improve our business relationships over the years. This is why I will promote their firm as long as I have a breath. I have benefited from working with their teams many times and their people are simply brilliant. They also have excellent materials and their strategies have made a huge difference for our organization! Our organization went through a period where we experienced some challenging issues at one of our facilities. But, thanks to Benchmark’s guidance, we had established solid relationships with key stakeholders and earned the trust of community leaders and others. (You might say we had a savings account of goodwill.) Benchmark spearheaded a stakeholder analysis effort, working with a prestigious polling organization to help us identify key stakeholder attitudes; the results were extremely useful in further strengthening our stakeholder strategies and management practices. Benchmark is a trusted partner, they bring solutions to the table and they are great people! Thanks to Benchmark, we now know how to connect with our stakeholders at an emotional level to establish trust and credibility. Their strategies completely changed the way we deliver our messages to make this connection, and now even our harshest critics are willing to listen. In the past I testified before a Senate panel and debated Green Peace, and I only wish I had known about Benchmark’s strategies years ago! If developing stronger stakeholder relationships is important to your organization, Benchmark offers skills and strategies that you can start applying immediately. After working with Benchmark, I now feel much more confident in my ability to build deeper stakeholder relationships and I am also a stronger leader. Oh, and their consultants are engaging and great communicators! Benchmark’s stakeholder strategies are some of the best I’ve experienced in my career, because they make you a better communicator. I have put their strategies to good use with our stakeholders and it is neat to see how well they work! The whole dynamics of conversations changed when I started using Benchmark’s skills! Unlike other training or strategies I have experienced in my career — I truly believe my last employer could have reduced their turnover rate if they had utilized Benchmark’s services. Benchmark taught me how to be less controversial and defiant when interacting with stakeholders with a different point of view. It really changed the way I look at things and if I can do some of the things they taught, my life, my career and my household will be immensely better. Benchmark really opened my eyes to skills that will improve communication with my colleagues and other stakeholders, and also confirmed some practices I already have in place. Their workshop caused me to look at real-life scenarios within our organization and how we could employ better communication to help our projects succeed. I also appreciated the strategies on how to achieve better communication in e-mails. Benchmark’s Stakeholder Communications Training is straightforward and worthwhile! It provides valuable tools in dealing with confrontational situations, as well as communicating with the media. Through hands-on learning, I learned how to make stronger connections with stakeholders to build trust and rapport – and to communicate with more credibility. Everyone in our group came away with a greater level of confidence. We are planning for future tune-up sessions with Benchmark’s team. The Situation: A manufacturing group experienced some difficult years at one of their facilities due to safety and environmental issues. They had several events over time that resulted in media scrutiny, regulatory negotiations and increased public awareness. As their management group worked to address operational issues, they also realized the importance of improving their community and media outreach efforts to rebuild trust and plan for the future. They initially brought in Benchmark’s team to help them with media / crisis plans and communications, and that expanded into stakeholder and community engagement campaigns. The Results: We helped the organization with stakeholder engagement programs that included stakeholder assessments, public opinion polls, presentations at local schools, participation in community groups and meetings, media advertising to showcase employee volunteer work, media outreach efforts, philanthropic initiatives and much more. The company’s proactive strategies greatly strengthened its community relationships, boosted employee morale and helped the company position itself to better achieve its community and business goals. 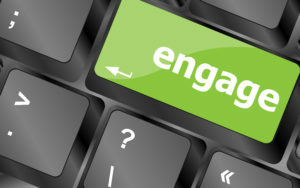 The Situation: An energy group asked us to help them improve their stakeholder engagement efforts in many states. They did not have a formal stakeholder outreach program and some of their stakeholders were filing lawsuits over environmental issues and concerns. The lawsuits resulted in widespread media coverage, further straining community and business relationships. It was clear that the company’s frontline employees were in a position to greatly influence stakeholder perceptions, as they had daily contact with community members and leaders. Investing in the frontline is worthwhile; studies conducted by Edelman reveal the public believes employees are more trustworthy than CEOs, Founders or PR departments. The Results: We helped the organization implement a comprehensive and custom stakeholder outreach program that was delivered to frontline associates in multiple states. Employees went through special training designed to help them realize the personal, community and economic benefits of stakeholder engagement, and they were equipped with skills, strategies and opportunities to be effective ambassadors for the organization. With time, stakeholder trust levels greatly improved, employee morale went up and litigation costs dropped. The company’s reputation was transformed, the company culture became more stakeholder-centric and they became a valued partner in the communities where they operate. The Situation: An organization asked Benchmark to help them improve relationships and communications with key stakeholders crucial to their financial success. The stakeholders have special needs that require the assistance of employees from many departments across the organization. The level of frustration was increasing for the stakeholders and the employees assigned to work with them. Their relationships were suffering, employee stress levels were high and morale was sinking. In short, they knew they were failing in how they were connecting with the very stakeholders that drive their financial success! The company asked us to help them identify and implement stakeholder strategies that would result in clearer communications, stronger stakeholder trust, solid long-term relationships – and lower employee stress levels. The Results: Benchmark interviewed key people in various departments to clearly understand the issues they faced and to identify the solutions needed to turn things around. We worked with content experts in many departments and created a custom game plan and training curriculum to solve the issues. We also developed custom booklets for each department to help associates improve their communications approach and accuracy in dealing with stakeholder issues. The training was well received and within a short time we began to receive news of stakeholder success stories. Their stakeholders immediately noticed a difference and complimented employees for helping them understand difficult issues. Employee morale started to rise and the stakeholder experience greatly improved!